We are happy to introduce two new printers from B9, the B9 Core 530 and the B9 Core 550. 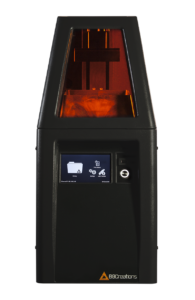 If you are looking for an easy to use, professional grade 3D printer with outstanding speed, quality and value, the Core printers are worth considering. Both printers use industrial HD LED light sources and can print at speeds of up to 100+mm per hour, four times faster than the industry average. 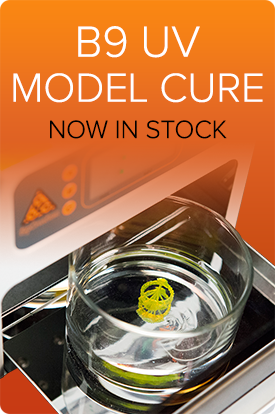 This means you could print hundreds of small precise models in 8 to 10 hours! These new printers have an integrated touchscreen with a USB slot so you no longer need to have a laptop connected to the printer while printing. Just transfer your files to a USB drive, plug it directly into the Core, select your settings and hit print. also auto calibrating and contains a built in fume and odor filtration system, making it ideal for office settings. The main differences between the two models are the build size and resolution. The B9 Core 530 has a resolution of 30 μ and a build size of 57.6 x 32.4 x 127 mm, while the B9 Core 550 has a resolution of up to 50 μ and has a slightly bigger build volume of 96 x 54 x 127 mm. The speed is also different in the two printer models. The B9 Core 530 has an average build speed of 20-30 minutes per inch for the full envelope, making it ideal for custom production. 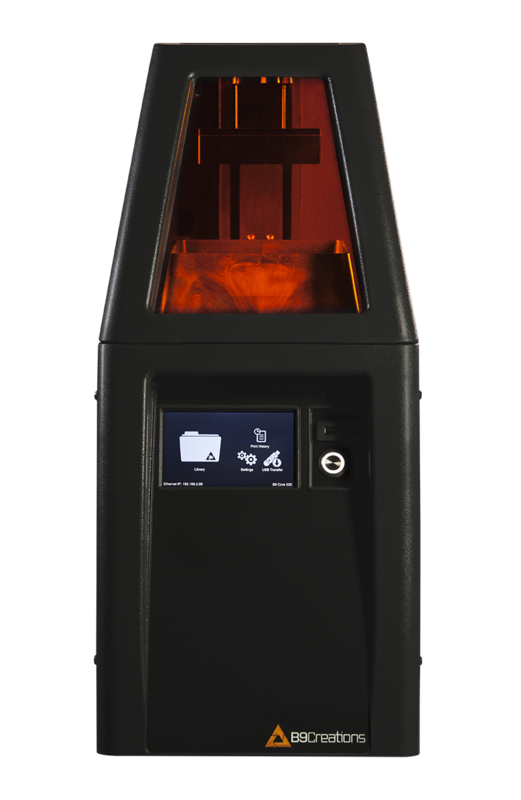 Due to the larger build size of the B9 Core 550 (ideal for larger-scale models), its speeds range between 40-60 minutes per inch for the full envelope. If you think the B9 Core Series would save you time and money in your jewelry business or with other detailed, high speed production, please feel free to contact Redresins for more information.